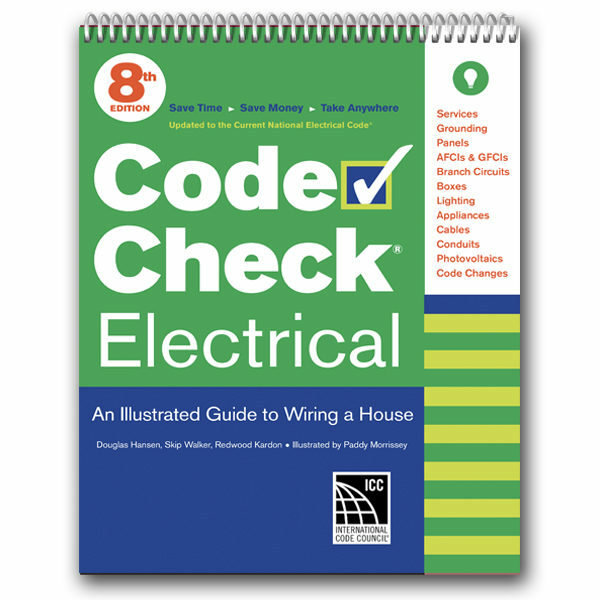 Code Check Electrical 8th Edition has arrived. 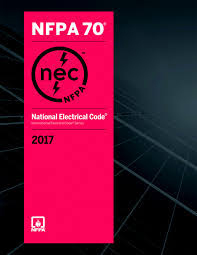 Based on the 2017 NEC, it also highlights the significant changes from the 2014 NEC. It can be used in jurisdictions using either code edition, and is therefore up-to-date for almost the entire United States. New tables have been added, and others have been expanded to make this edition applicable to a wider range of installations than our previous books. The book includes 23 tables and 66 illustrations, many of which are new or updated from our previous editions. 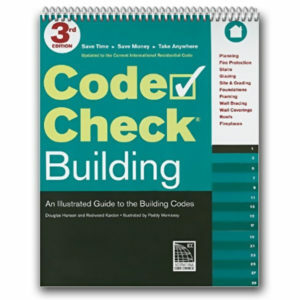 This book is in our signature flip-chart format, which greatly simplifies getting directly to the section you are looking for. 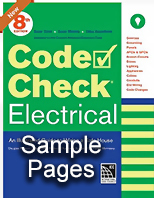 The durable laminated pages are perfect for the field or in the office. 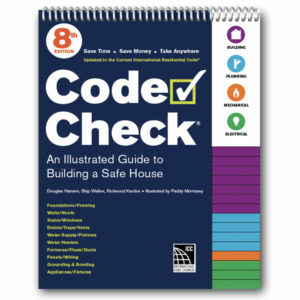 All of the Code Check books are endorsed by the International Code Council. There are no changes at this time. 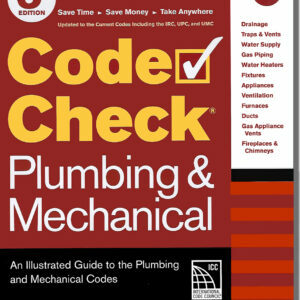 © Code Check Copyright 2018 • Code Check is a registered trademark of the Taunton Press, Inc., registered in the U.S. Patent & Trademark Office.